On Nov. 23, Northrop Grumman Korea participated in the sixth annual Defense Network Centric Warfare (NCW) Forum held at the Air Force Club in Seoul, Republic of Korea (ROK). Organized by the Ministry of National Defense, the ROK Joint Chiefs of Staff and Ajou University, the Forum is an annual workshop that aims to improve the country’s NCW capability and better adapt to the changing security environment of the region. Dong Ha, corporate director, Northrop Grumman Korea, greets a Republic of Korea Navy official at the Defense Network Centric Warfare Forum in Seoul Nov. 23. 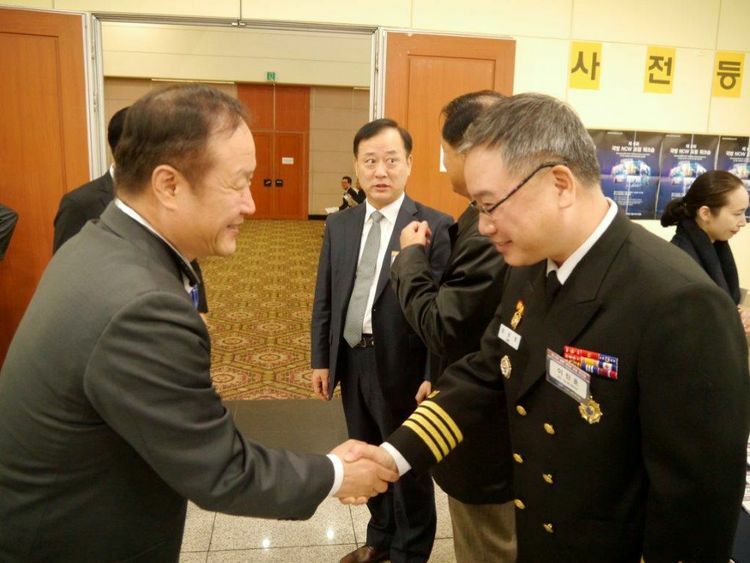 A major sponsor of the event for the first time, the company showcased its major ROK programs. “Advancing ROK NCW: Maritime Assets Integration” was the theme of this year’s Forum and more than 600 people including military experts and about 50 organizations related to ROK’s armed forces attended the workshop. 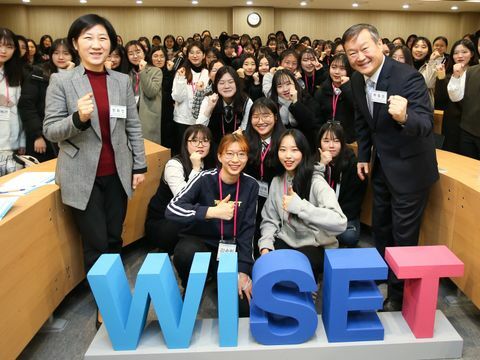 Distinguished guests and speakers included Kim Tae-young, president of the Defense NCW Forum and former ROK Minister of National Defense; Vice Adm. Um, Hyun Sung, ROK vice chairman of the Joint Chiefs of Staff; and other key military experts who shared their NCW insights. 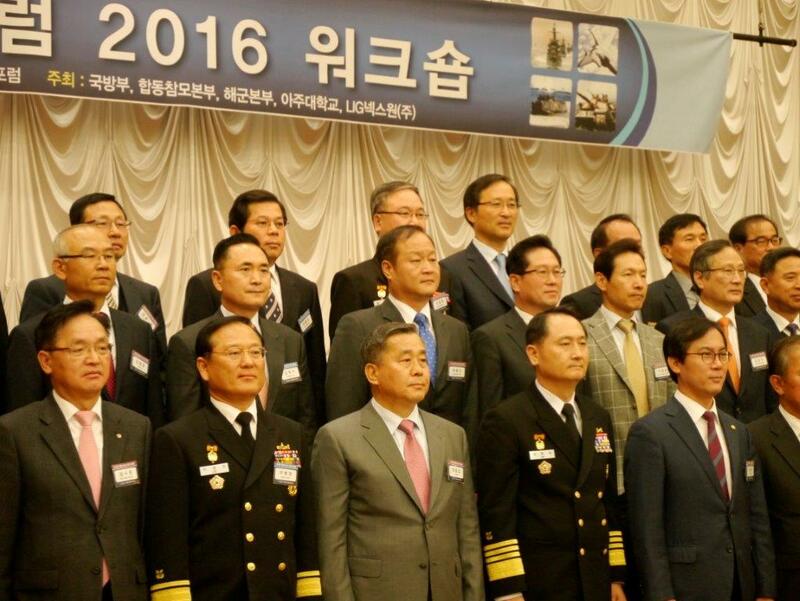 Dong Ha, middle row third from left, joins other dignitaries for a team photo at the outset of the Defense Network Centric Warfare Forum in Seoul Nov. 23. More than 600 military attendees from about 50 organizations across the Republic of Korea attended the event. Northrop Grumman Korea participated in the Forum for the first time as a major sponsor, and presented its major ROK programs, including the RQ-4 Global Hawk Block 30 and Scaled Agile Beam Radar for the F-16 fighter. The company also featured a high level corporate video highlighting Northrop Grumman’s five major capabilities: C4ISR, cyber, autonomous systems, strike and logistics and modernization. Doogie Choi, business development manager, Northrop Grumman Korea, introduces visitors to Northrop Grumman programs and capabilities at the sixth annual Defense Network Centric Warfare Forum in Seoul Nov.23. 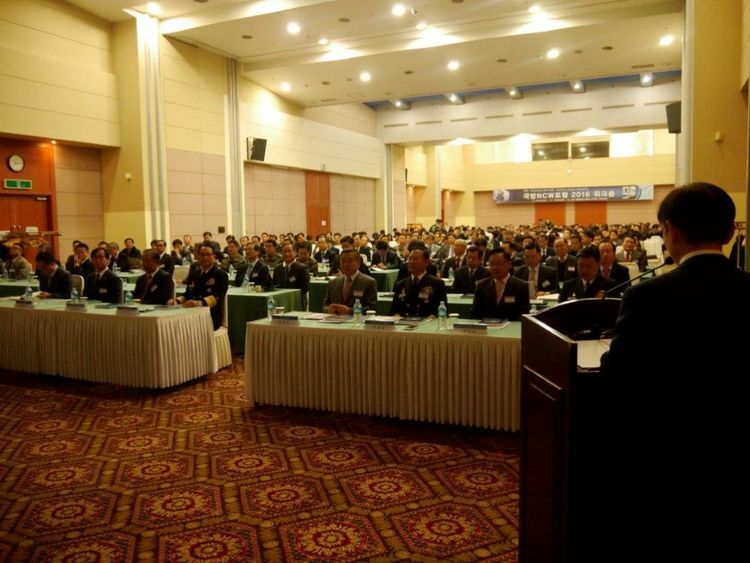 With the goal of improving the country’s network centric warfare capabilities, the sixth annual Defense NCW Forum in Seoul kicked off Nov. 23. 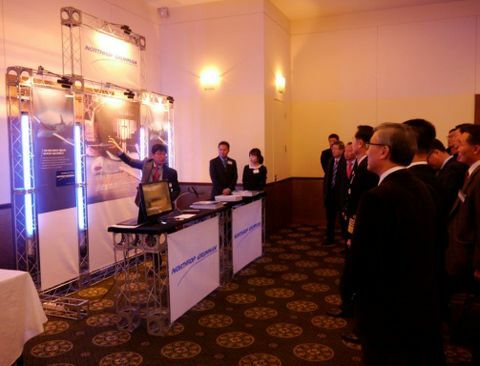 The event served as a showcase of Northrop Grumman’s leading capabilities with Republic of Korea military officials and national security thought leaders.